In an effort to redefine AMP’s place in the energy drink space, WIRED utilized Instagram to capture the spirit of the brand while creating a custom content series that leveraged the WIRED Insiders. Print: A series of four 1/3-units featuring the Insiders were developed. 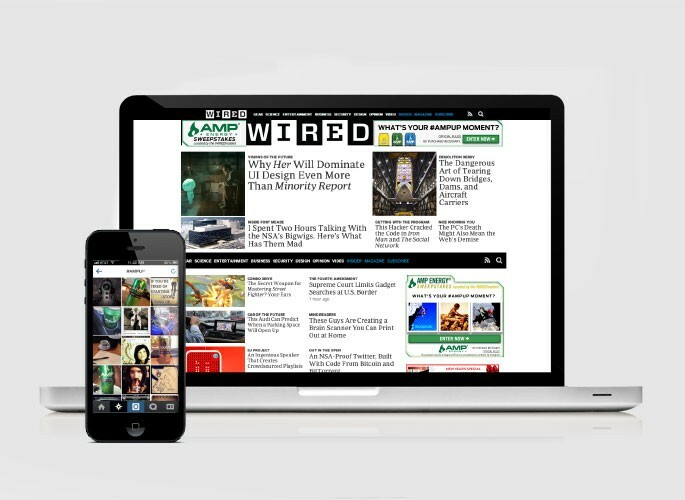 Each installment within the series focused on a different WIRED Insider and how they use AMP to boost their lifestyle. Digital: WIRED developed custom blogvertorial units that seamlessly integrated Insider-authored blogvertorials within relevant areas across WIRED.com. Sweeps Overlay: Capitalizing on Instagram, users were invited to submit their most energized moments for a chance to win. A custom landing page was created to capture entrants and custom promotional units drove participation. 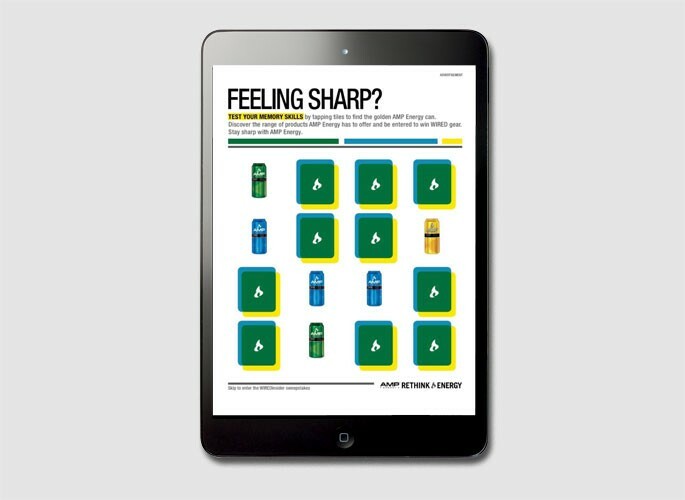 Tablet: The immersive tablet experience, modeled after a traditional memory game, allowed readers to tap and reveal different flavors of AMP while searching for the golden can. 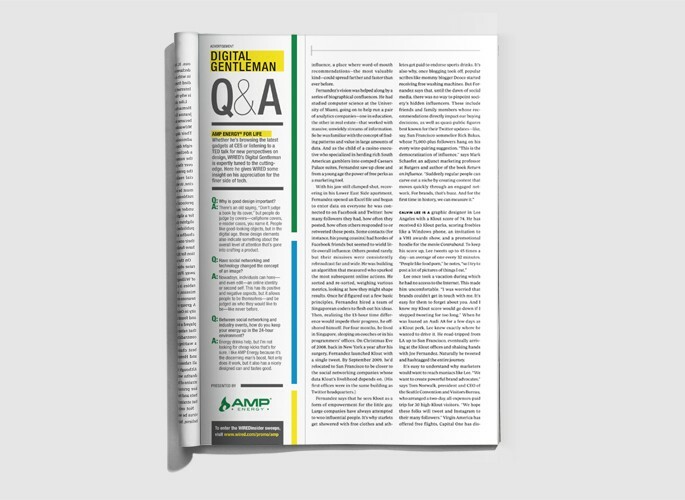 Live: Presence at the WIRED Store spotlighted the AMP brand, as well as generated interest in the portfolio.